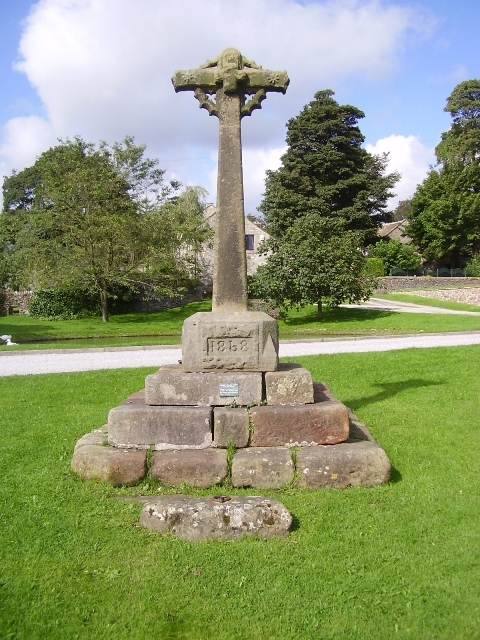 Foolow Cross, old base & steps in a new cross by the wayside, in parish of Foolow (Derbyshire Dales District), The Green, opp. the village pond, opp. Bulls Head PH., on wide grass triangle. © Copyright Milestone Society and licensed for reuse under this Creative Commons Licence.